Matthew Good, Bif Naked, Nickelback, Hedley, Marianas Trench and Faber Drive are a few bands that have become well known on the national, and international, music radar after getting their start, or their push, in Vancouver. They are however not the only success stories out of Vancouver’s music community. Art of Dying have been performing in Vancouver for over a decade (with a few name and line-up changes in that time) and, consistently, fans from Vancouver and the Lower Mainland make their way to clubs to see them perform. Founding members, Jonny Hetherington and Greg Bradley, both originally from Alberta, have been creating original rock music relentlessly, and music fans the world over have taken notice. Their live show is a powerful experience, with Hetherington’s lyrics, vocals, and the vibration of the band behind him. Art of Dying were Fox Seeds finalists in 2005, the same year as Faber Drive (then Faber), and have since gone on to tour North America and parts of the UK with acts the likes of Disturbed and Seether. They took part in the UK’s Download festival in 2006. The headliners that year were Tool, Metallica and Guns N’ Roses. They are an amazing band and are one example of what Vancouver and the surrounding area has to offer. Art of Dying are currently in LA writing and recording music for an upcoming album, yet the Runner was fortunate enough to interview Jonny Hetherington, lead singer and lyricist of the band. Despite changes, Hetherington said that he is “excited about a ton of local artists” and in 2006, this excitement saw Hetherington, Greg Bradley (founders of Art Of Dying) and Brian Thompson forming Thorny Bleeder records to get local music out to music lovers. They work with bands such as Quartered, Burning Borders and TV Heart Attack. Their website www.thornybleeder.com has free music downloads of some amazing local acts. Art of Dying is currently working on their music in L.A., and have, as Hetherington said “some exciting announcements to make in the weeks to come.” Music lovers should visit their site at www.artofdyingmusic.com for details. Another act who is giving music lovers an earful of amazing songs is Incura. Originally from Alberta, the band moved to Vancouver some years ago, and has rapidly become local favourites. In 2008, they won Fox Seeds’ Platinum Award and have continued to wow audiences in Vancouver, Surrey and around Canada, including a recent spot during Toronto Music Week. 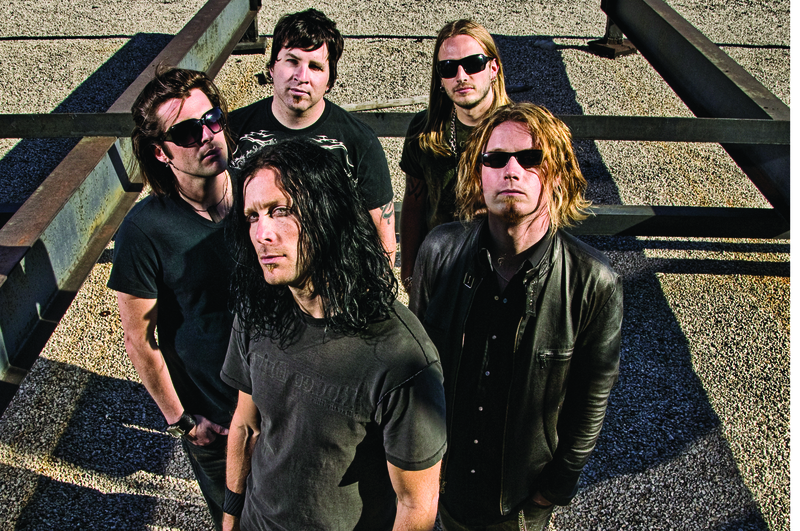 Their sound cannot be contained to one genre, but has been called aggressive melodic rock by some. Lead singer and lyricist, Kyle Gruninger’s vocals have a range that must be heard to be appreciated, and his on stage showmanship and charisma has been compared to Queen’s Freddie Mercury. The band fuses heavy guitars, bass lines and drums with, at times, the melodic sounds of piano; a sound that accentuates Gruninger’s lyrics and vocals and has fans clamoring. The Runner recently spoke to Kyle Gruninger of Incura, and asked him about relocating to Vancouver and the state of local, Vancouver, music. “The move to Vancouver came about due to the extremely small size of the town we were in. When in Canada, if a band is looking to get more exposure, you move to a city that has a history of great music and music business. Being from Alberta, Vancovuer was the closest city with those credentials. Moving out to T.O was just a bit far and over whelming for five boys from Lethbridge” Gruninger said. 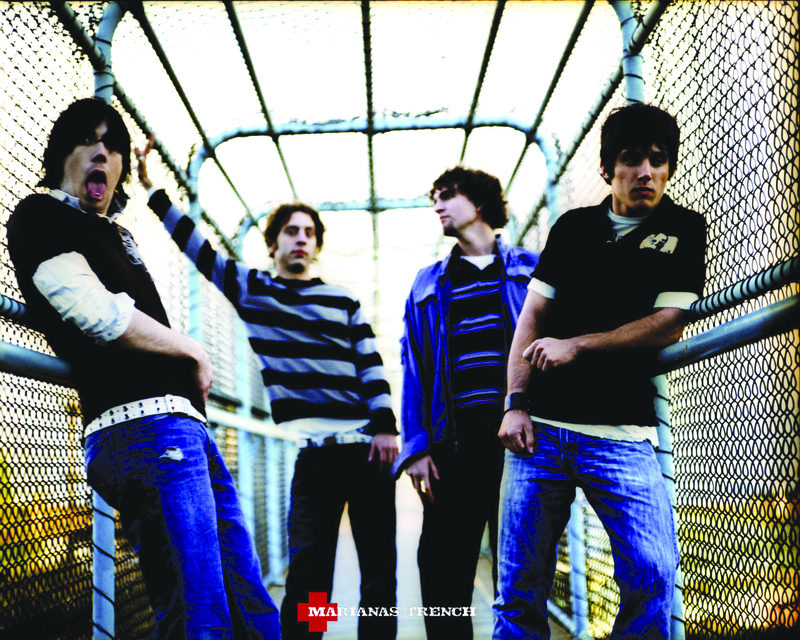 A band that is now well known around Canada, who are from/got their start in Vancouver are Marianas Trench. Formally Ramsay Fiction, with lead singer Josh Ramsay and guitarist Matt Webb, Marianas Trench came to be in 2003, after being signed onto local record label 604 Records. They played small venues around Vancouver such as The Royal, The Backstage Lounge and the Media Club, and opened for acts such as Matthew Good at the Commodore. They are a platinum selling band whose debut album “Fix Me” released in October of 2006 on 604 and Universal records helped to propel them into the national spotlight. Their latest album, “Masterpiece Theater,” released in February of 2009, continues to sell beyond platinum status. The band is currently touring across Canada. Check out their website www.marianastrench.net for details. The Runner was able to contact Mike Ayley, bassist of Marianas Trench, during some of his down time during the tour, for his views on the importance of fan and media support for local bands. Ayley believes that supporting local bands is vital in keeping the band going, but that local media also have to be willing to support local talent. Live music in Vancouver and all of the Lower Mainland is happening as you read this. The combination of incredible talent, an amazing live show, willing venues, and radio support could turn your favourite local acts into internationally recognized, arena playing bands, as it did for Marianas Trench. Your support keeps fantastic bands like Art of Dying and Incura touring around the province and the country, while creating new music as they look at the option of distribution deals and the like. The music of Art of Dying, Incura and Marianas Trench can be found on iTunes. Also, Art of Dying and Incura’s albums can be bought via their websites and at their shows. Marianas Trench’s new album can be found via their website and at your favourite retail outlets. All of the bands mentioned in this article can also be found via Myspace and have groups on Facebook. Check out local talent before they’re selling out GM place and you end up with seats in the nosebleeds.